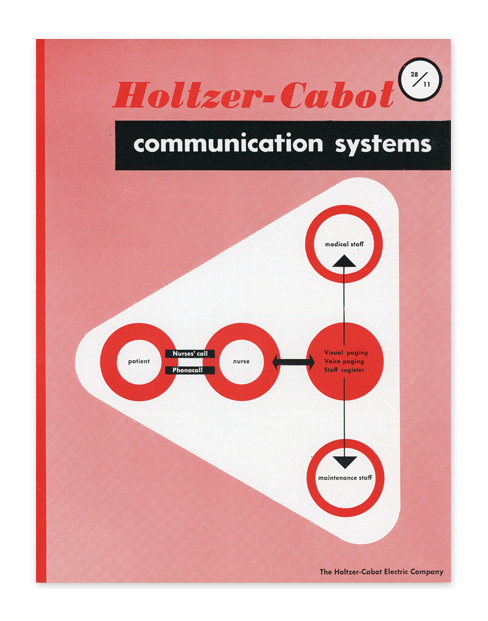 Ladislav Sutnar was a master of making complex information simple. From 1941 to 1960, Sutnar, a Czechoslovakian immigrant who settled in New York City, served as the art director for F.W. Dodge Corporation’s Sweet Catalog Service. Sweet’s catalogs showcased plumbing, electrical, and building supplies that were marketed to the architecture and engineering trades. Sutnar and his team of writers and designers transformed the catalogs’ complicated product information into clear, concise, easy-to-understand images that were a precursor to the artistic discipline of information design. Sutnar used shapes, symbols, blocks of color, indexes, and other tools to help Sweet’s readers quickly and easily navigate each catalog page. This exhibit features more than 50 Sweet’s catalogs and other stunning artworks created by Sutnar.